As in any profession, developing a set of productive and healthy practices is important — and remote workers are not an exception. 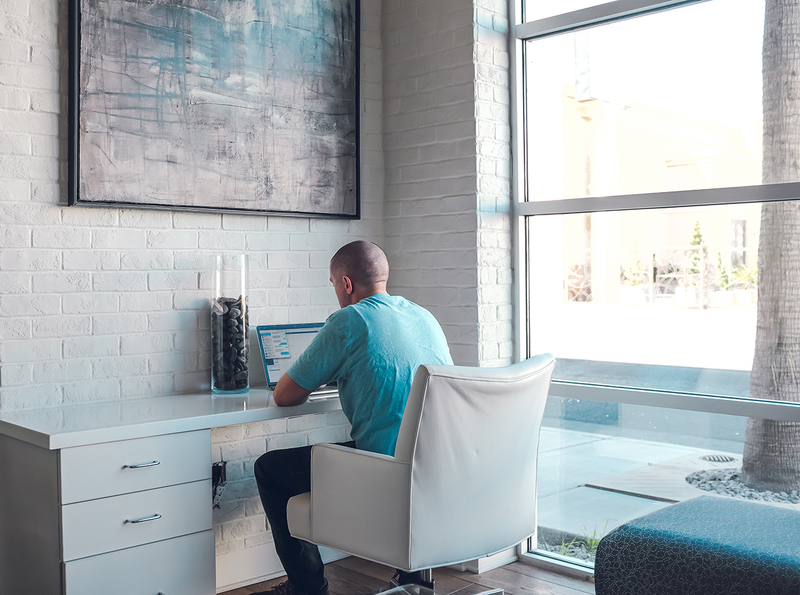 In fact, it may be even more important that remote workers establish healthy practices than in-office workers because of the lack of structure in their workday. Make use of your freedom and flexibility as a remote worker by implementing these seven practices in your life. From staying active in the remote community to knowing when to turn off for the day, here are seven practices that every remote worker should aim to establish. These days there is an entire network of remote workers on nearly every country around the globe. Staying active in your local remote community is an excellent practice for remote workers who want to network and stay open to new opportunities. Joining social media groups that are dedicated to local remote employee communities and attending remote employee hangouts is a great place to start. Just because you don’t have to get dressed in the morning doesn’t mean that you shouldn’t. On the contrary, getting dressed can lead to more productiveness during your workday. Mentally, it helps to put you into “work mode”, which can be imperative for remote workers who struggle with starting up their work day as they mosey around in their pajamas. Get up, get dressed, and get to working! Similarly to getting dressed, setting a consistent routine for yourself can be one of the most useful practices that remote workers can employ. Whether this means working from nine in the morning until noon and then taking an hour-long lunch break or starting your day with a jog, a cup of coffee, and thirty minutes to answer all your emails is up to you. The important thing is that you create structure for yourself. Hopefully, if you’re a remote worker, you’re not afraid of technology. But are you making the most out of it? There are literally hundreds of useful work applications that can assist you during your workday as a remote employee. Want to know where to start? We recommend these seven apps that will increase your productivity level. Think working from bed is a good idea? Think again. When you work from a space in your home that is also a space for relaxation, you run the risk of being less than productive because of your body’s automatic understanding of these spaces. Instead, create a dedicated workspace in your home where you only work. A table or desk setting is ideal, as it can keep you from falling back into relax mode. Last but certainly not least, productive remote workers know when to “turn off” for the day. Because of this, they resist burnout and set themselves up for a full day of productivity ahead. Remote workers often fall victim to answering emails and working on assignments throughout all hours of the day and night. Know when to turn off. After all, there’s always tomorrow.